The world of work is changing and evolving! You’d agree that with technology, the speed of development and change is exciting and transformational. Discovering and maximizing one’s potential will not only be possible but essential. In this environment we will need leaders and teams that are skilled with the ‘how’ of effectively leveraging resources to maximize results. Living to one’s full potential and being fully alive is going to be key to making a difference. Our organisations need change agents who can affect ongoing value based change and progress. In this exciting new environment, we need to establish ways of working that are life giving and life affirming! Here’s more about what we do, how we do it and importantly why we do it! In this segment on ‘Harnessing the Belbin Team Roles’ in working relationships, we speak to Dr. Michael Thiemann and Ms. Sujatha Patel from ThyssenKrupp India to understand how work pairs can leverage each other’s strengths. “At Emcure – Belbin Team Roles has initiated change of culture and understanding of the power of WORKING IN TEAMS”. 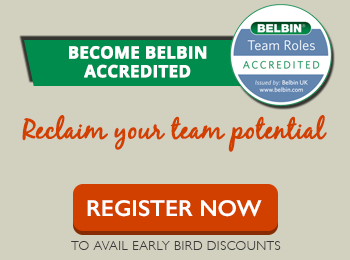 We had started this journey with PrePearl last year in early 2014, where quickly the participants and organisation realised the benefits of this concept of “Belbin Team Roles”. This learning journey has brought an openness and fairness in our organisation specifically in the area of Team Dynamics. We can proudly quote“Belbin is not just a training intervention or event, it’s a solution to enhance team dynamics to achieve better results” also the benefits of this Belbin solution are multi fold and exponential. We are fortunate to be associated and have PrePearl with us in this Learning journey. Our experience with PrePearl has always been very positive; the organisation clearly has a market-leading understanding of instruments such as MBTI and Belbin and knows how to implement them to get great results. In particular, Pearl is an excellent facilitator, who works to understand and incorporate our business context and then deploys customised solutions that really fit with our business need. Pearl’s positive energy and enthusiasm is great for colleagues to engage in their personal awareness and development. I wish Pearl and her team continued success in their aim to keep helping organisations develop their talent! In today’s VUCA World – Volatility, uncertainty, complexity and ambiguity , we cannot add people to our Team without scientifically evaluating if they are suitable to be on any of the projects which are simultaneously running across our Company ‘ Lawrence & Mayo ‘ . We have utilised BELBIN methodology for recruiting a General Manager , for Retail Executives and Retail Managers , we have an on going Lawrence & Mayo Administrative Cadre ( LMAC) to develop the next set of Managers for the decades ahead . As we stand at cusp of the 140th year and 141 th year , we are preparing ourselves internally for the 150 th Year and beyond ! !